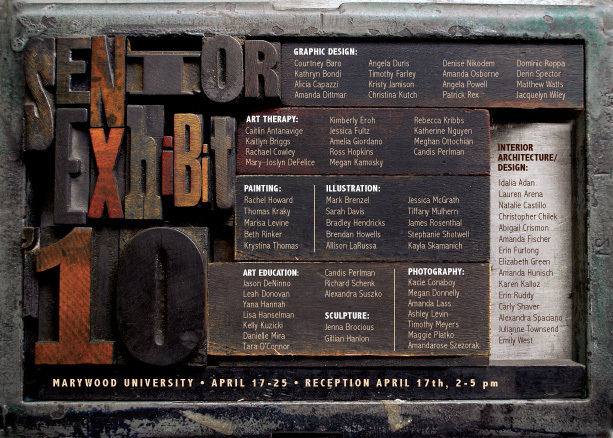 Undergraduate group exhibition of bachelor of arts and fine arts candidates in art education, art therapy, graphic design, illustration, painting, photography, and sculpture. Chris I love this exhibit mailer! Did you make this? It’s beautiful! Yes, I did. Thanks! It was a lot of fun. I’ve been exploring letterpress over the last year.